Two groups of six weeks old cockerels comprising 40 immunized and 40 non-immunized birds were inoculated intramuscularly with VGF-1, which is a local Nigerian strain of velogenic Newcastle disease virus (VNDV). Immunized birds did not show any clinical signs except significant loss (p < 0.05) in body weight on days 5 and 20 post inoculation (PI). But the non-immunized birds showed clinical signs of disease characterized by anorexia and drowsiness from day 2 PI. These were followed on day 3 PI by depression, diarrhoea, opisthotonus, weight loss (p < 0.05) and high mortalities (96.9%). Both the immunized and non-immunized groups showed severe atrophy of the bursa, spleen and thymus. Histopathological section of these lymphoid organs showed necrosis and depletion of lymphocytes. Both the gross and microscopic lesions were more severe in the non-immunized birds. Marked ballooning degeneration was observed in the bursal follicles of the non-immunized birds. This lesion has not been described earlier for any other disease and could be diagnostic for VND. 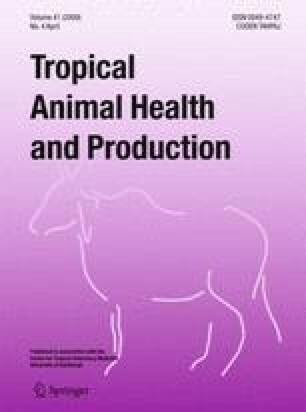 Our results also showed that VND can cause marked atrophy of the lymphoid organs, which may lead to immunosupression without the characteristic signs of Newcastle disease (ND) in vaccinated chickens. This no doubt emphasizes the limitation of vaccination as a biosecurity measure in poultry industry.